Carnival Inspiration is to under a major multi-million dollar refurbishment which will begin on January 18, 2016. The major upgrade will last for three weeks in Portland, Oregon. The refurbishment will be completed on February 5, 2016. The Fantasy class ship will receive some much-needed enhancements including all the FUN 2.0 upgrades. Fun 2.0 was first introduced on the Carnival Liberty in 2011 and has been rolling out across the fleet ever since. Guy’s Burger Joint, a free-of-charge poolside venue developed in partnership with Food Network personality Guy Fieri serving hand-crafted burgers and fresh-cut fries enjoyed amidst a décor that celebrates the chef’s California roots and love of car culture. BlueIguana Cantina, a complimentary poolside Mexican eatery where guests can enjoy authentic, freshly made burritos and tacos on homemade tortillas, as well as an elaborate toppings and salsa bar. BlueIguana Tequila Bar, a fun and festive outdoor bar offering a laid-back Mexican-themed atmosphere and tequila-based frozen drinks and beers, perfect for chillin’ by the pool. Once the refurbishment is complete the Carnival inspiration will resume short 3-day and 4-day cruises from Long Beach, California. 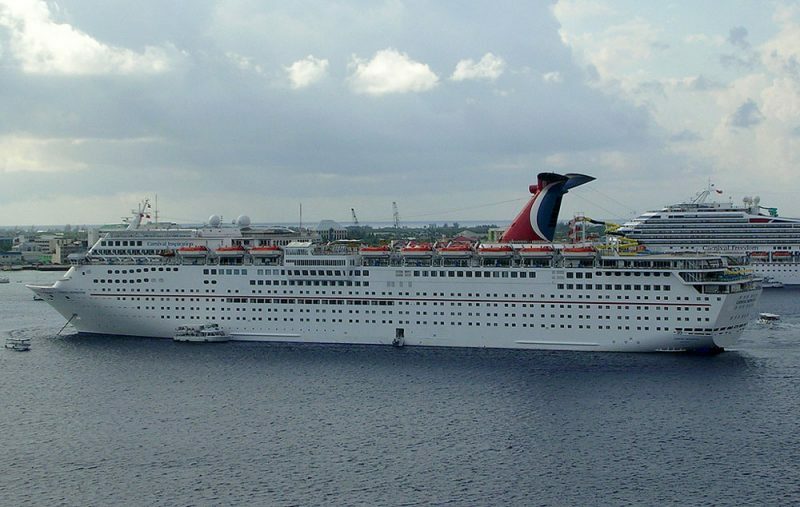 Carnival inspiration was built in Finland and was delivered to Carnival Cruise Line in 1996. The ship is 70,370 gross tons and can carry over 2,000 passengers.